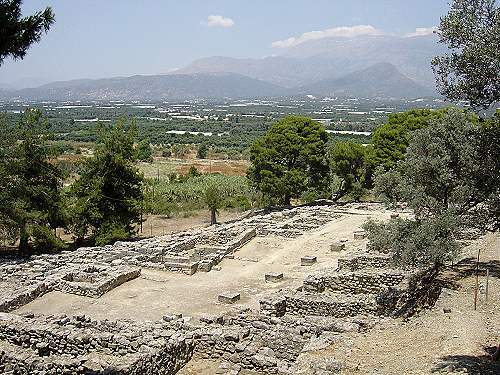 Four kilometers west from Phaistos are the ruins of the Royal Villa, the Small Minoan Palace at Agia Triada. The site is named after the village of Agia Triada that is located next to it and was inhabited untill 1.897, when the Turks destroyed it. The Minoan name of the site is unknown .